CHICAGO, 2018-Jul-20 — /Travel PR News/ — Hyatt Hotels Corporation (NYSE: H) announced today (July 18, 2018) the opening of Hyatt Regency Zhenjiang in East China’s Jiangsu province. 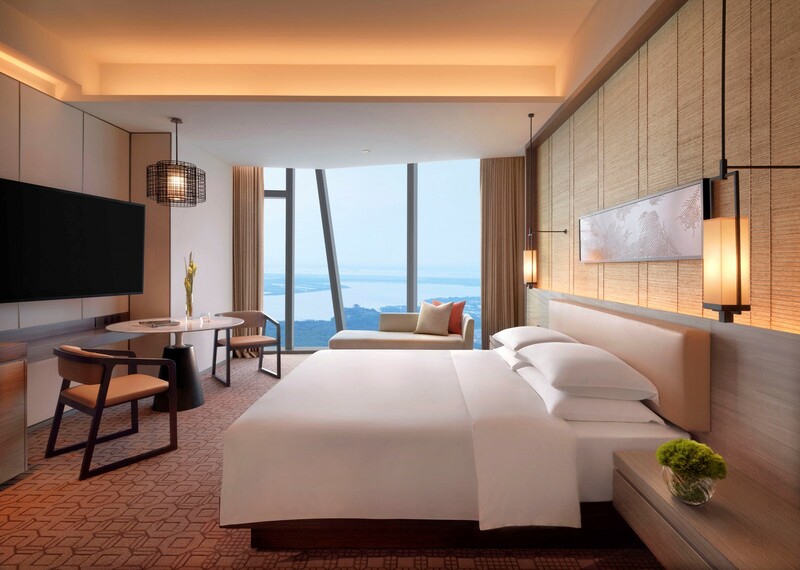 Set atop the East Tower of Suning Plaza, the highest skyscraper in Zhenjiang, the 318-room Hyatt Regency hotel is set to provide travelers and locals alike with a fresh perspective of the city by providing an energizing place to connect with the very best of Zhenjiang. The Hyatt Regency brand prides itself on connecting travelers to who and what matters most to them. More than 180 conveniently located Hyatt Regency urban and resort locations in over 30 countries around the world serve as the go-to gathering space for every occasion – from efficient business meetings to memorable family vacations. The brand offers a one-stop experience that puts everything guests need right at their fingertips. Hyatt Regency hotels and resorts offer a full range of services and amenities, including the space to work, engage or relax; notable culinary experiences; technology-enabled ways to collaborate; and expert event planners who can take care of every detail. For more information, please visit www.hyattregency.com. Hyatt Hotels Corporation, headquartered in Chicago, is a leading global hospitality company with a portfolio of 14 premier brands. As of March 31, 2018, the Company’s portfolio included more than 700 properties in more than 50 countries across six continents. The Company’s purpose to care for people so they can be their best informs its business decisions and growth strategy and is intended to attract and retain top colleagues, build relationships with guests and create value for shareholders. The Company’s subsidiaries develop, own, operate, manage, franchise, license or provide services to hotels, resorts, branded residences, vacation ownership properties, and fitness and spa locations, including under the Park Hyatt®, Miraval®, Grand Hyatt®, Hyatt Regency®, Hyatt®, Andaz®, Hyatt Centric®, The Unbound Collection by Hyatt®, Hyatt Place®, Hyatt House®, Hyatt Ziva™, Hyatt Zilara, Hyatt Residence Club® and exhale® brand names. For more information, please visit www.hyatt.com. This entry was posted in Hotels, Luxury, Resorts, Travel, Travelers and tagged China, Hyatt, Hyatt Regency®, Irwin Bao, Stephen Ho, Zhenjiang. Bookmark the permalink.